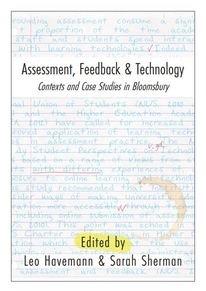 Our new Open Access e-book provides valuable insight into the way technology can enhance assessment and feedback. It was launched formally on 26th October by Birkbeck’s Secretary Keith Harrison, with talks from the editors Leo Havemann (Birkbeck, University of London) and Sarah Sherman (BLE Consortium), three case study authors, and event sponsor Panopto. 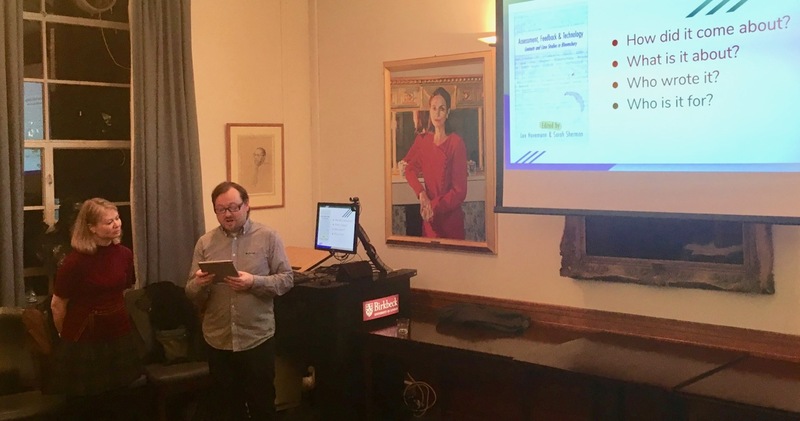 The book is a result of a two-year project on e-assessment and feedback run by the Bloomsbury Learning Environment (BLE), a collaboration between six institutions on issues around digital technology in Higher Education. It contains three research papers which capture snapshots of current practice, and 21 case studies from the BLE partner institutions and a little beyond. The 21 case studies report on examples of blogging, group assessment, peer, self and audiovisual feedback, on assessment in distance education, MOOCs and other online contexts, and on developments driven forward by Bloomsbury-based colleagues such as the My Feedback Report plugin for Moodle and the Coursework module. A version of this article appeared on the UCL Digital Education blog.